The Eucharist is the REAL presence of Jesus! The celebration of the Eucharist or Communion can be further understood as a sacrifice and a meal. 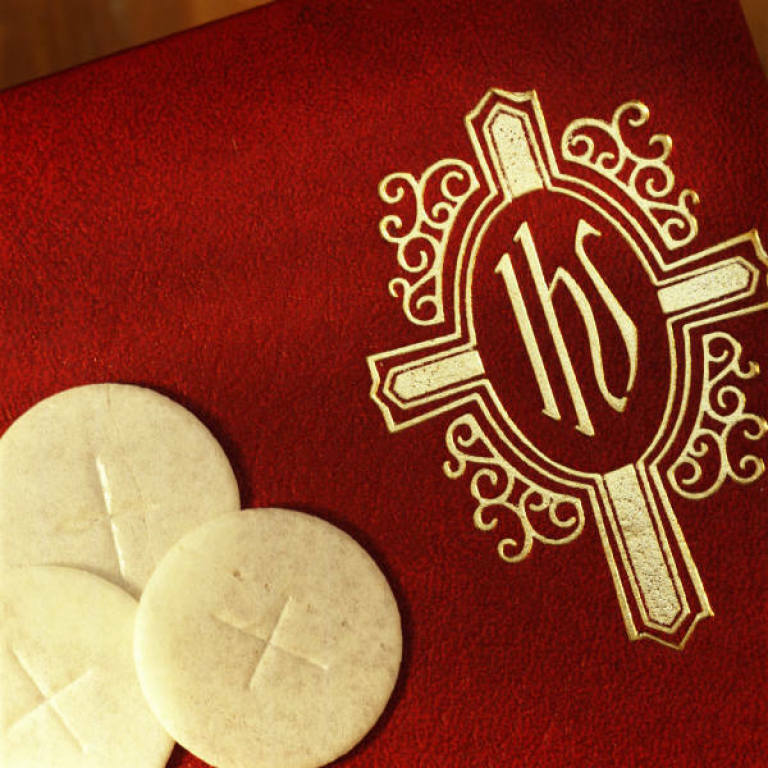 The Holy Eucharist is the Sacrament in which Jesus Christ gives Himself, His Body and Blood, for each of us and to each of us. First Communion at St. Thomas Aquinas Church is scheduled annually for the 2nd or 3rd Sunday of Easter. There is NO COST for preparation. Has my child received the Sacrament of Reconciliation? Is my child in 2nd grade or above? Is my child at least 7 years old? Has my child attended Faith Formation or have I taught my child about the Catholic faith at home? Does my child attend Mass? Does my child have special needs or circumstances that I would like to discuss before beginning preparation? Here is the Information and Photo Release Form.